Tia (Rushden Hot Gossip) aged 7, showing the young ones how it should be done! Go Ash ! 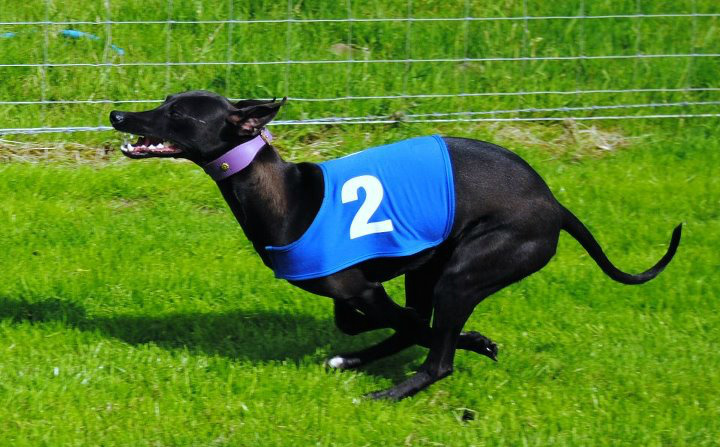 'Rushden Black Caviar' taking after her equine name sake by being as yet unbeaten in her puppy racing!! 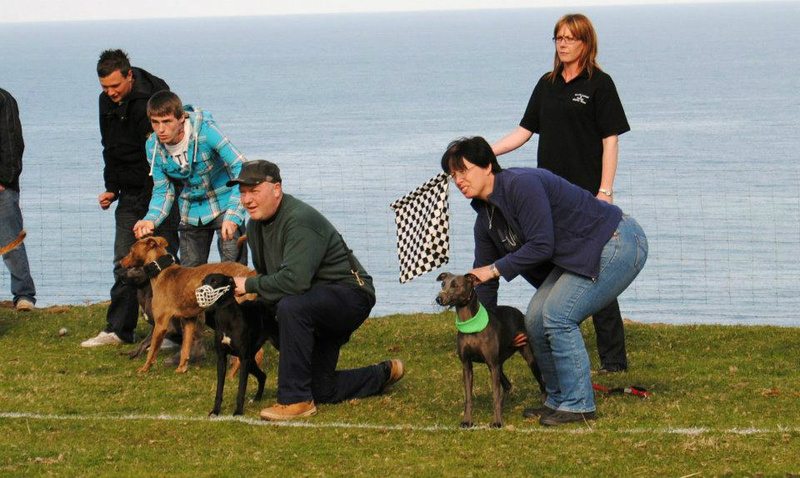 Flash (green collar) on the start line @ Mourne Charity Show 2012. 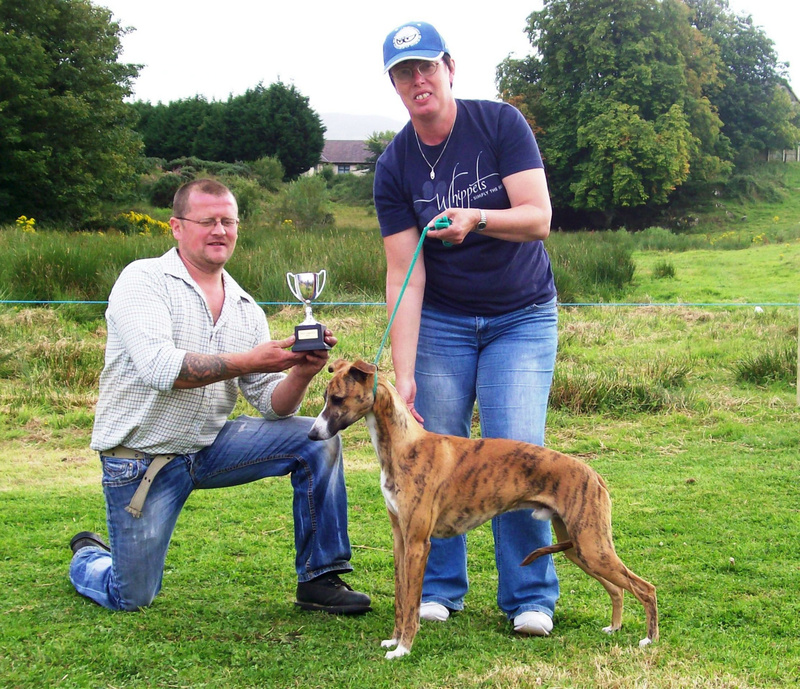 Finlay receiving his trophy for winning the whippet puppy race at Camlough Show 2011. 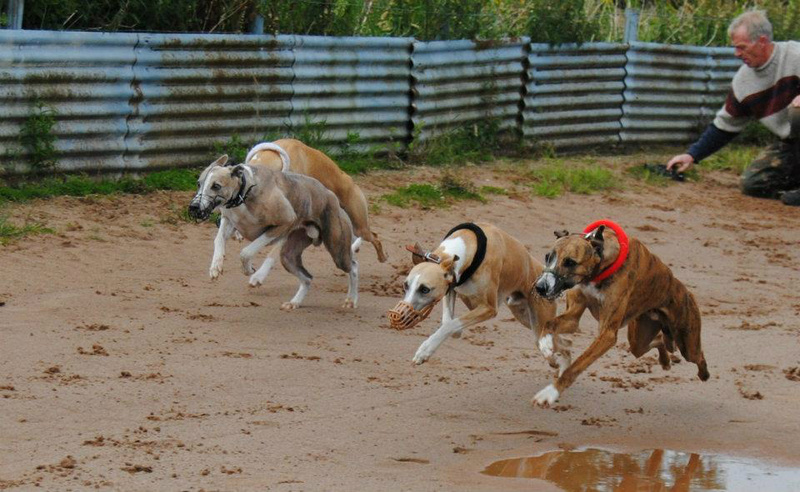 Finlay (red collar) on the way to winning his heat at Dublin Working Terrier Show 2012. 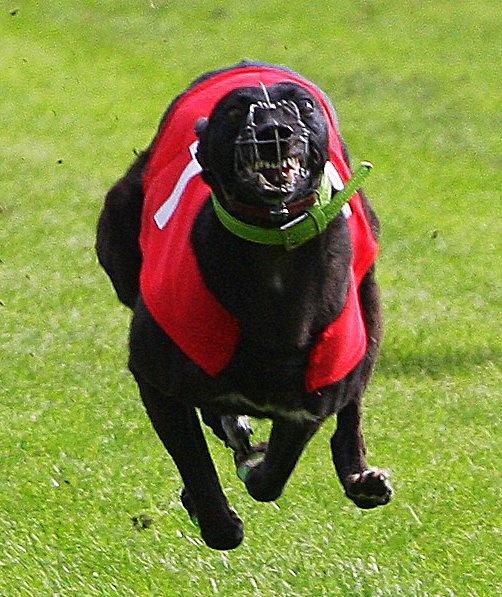 He went onto finish 3rd overall in the final! 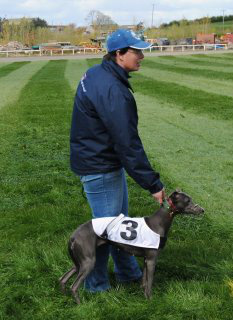 Vixen in jacket number 6. 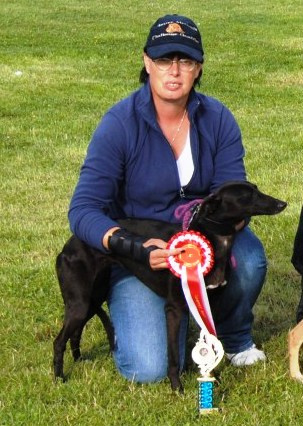 She went on to win this heat of the whippet racing at Ballywalter Game Fair 2011. 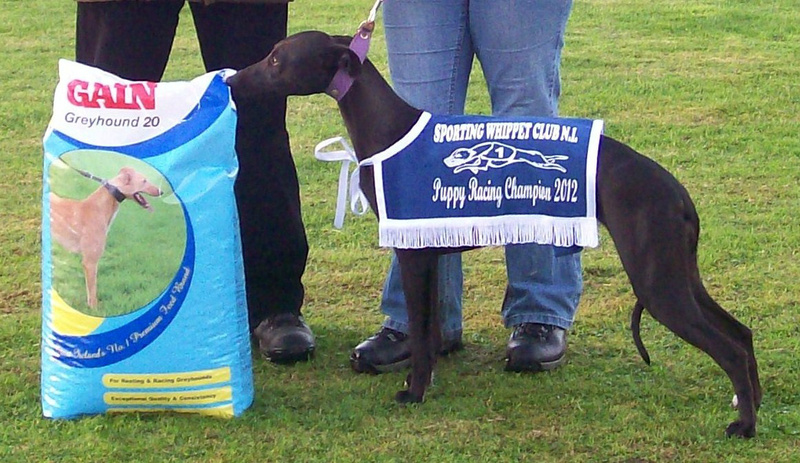 Vixen ' Whippet Racing Champion' Donemana 2011. 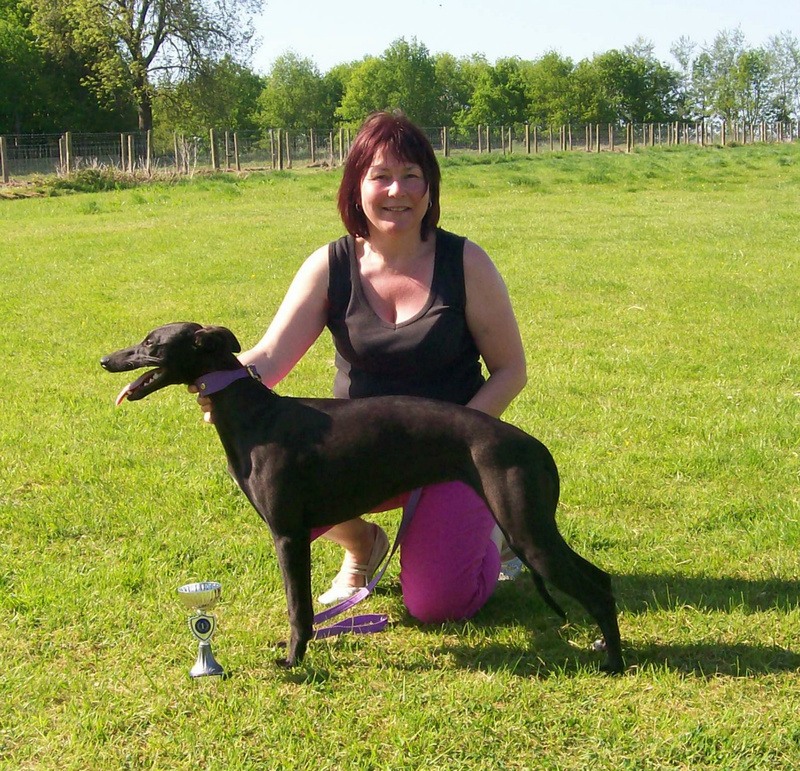 Vixen was crowned ' The 32 Counties Champion Of Champions' In Whippet Racing for 2011. 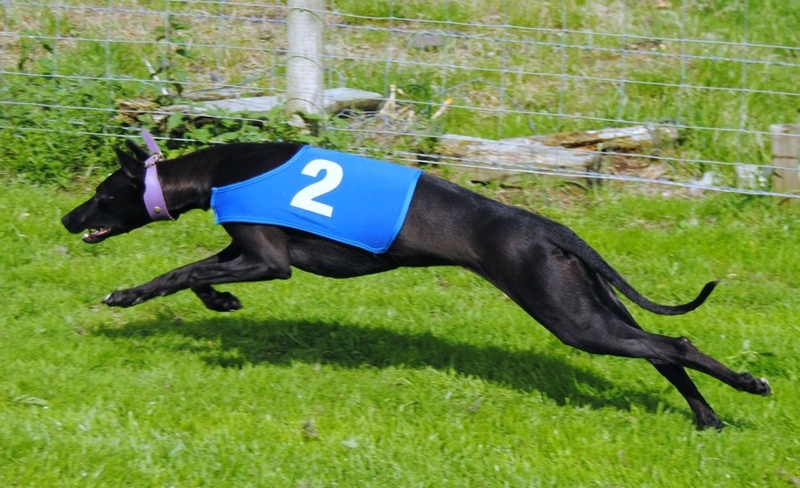 Vixen in full flight !! 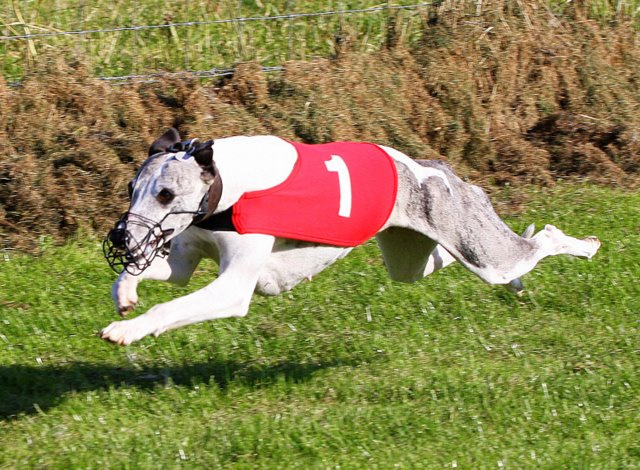 We take great pride in knowing that our whippets are truly multi-purpose and 'fit for function'. 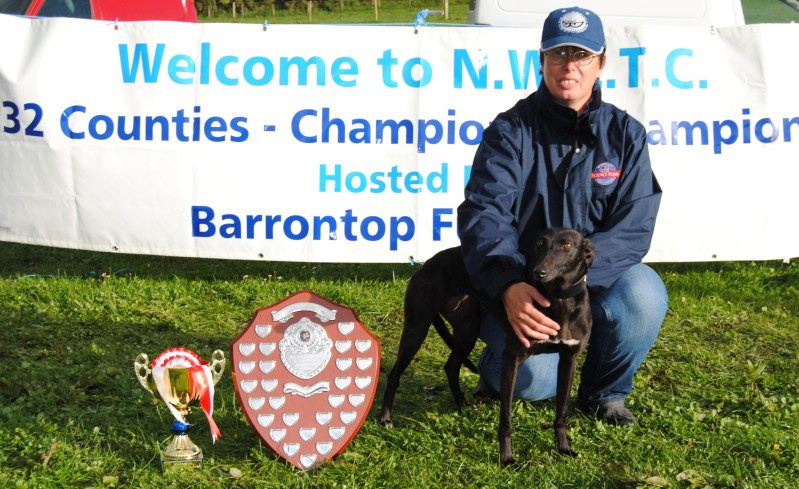 "It is my belief that whippets should be able to do the job they were bred for, be that a pot filler or a poor mans racehorse. 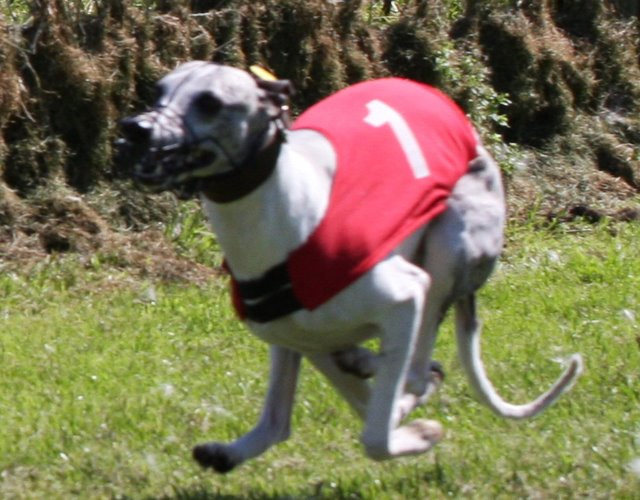 To this end I strive to breed dogs that not only meet the KC standard and maintain breed type, but that also have the ability and speed to catch their dinner or cover 300 yards in as fast a time as possible. 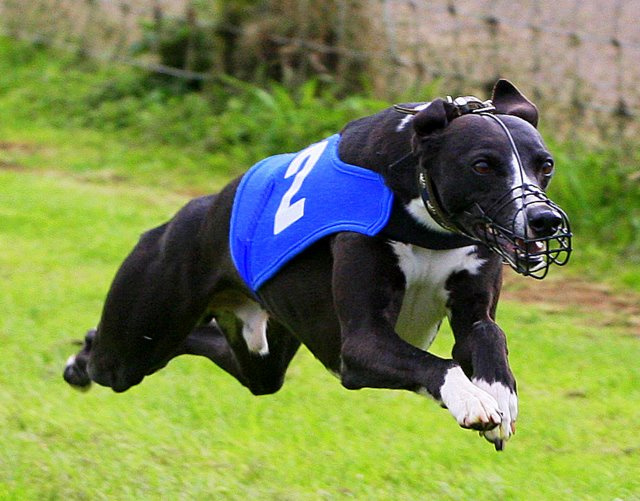 Lose these abilities and you lose the breed!"